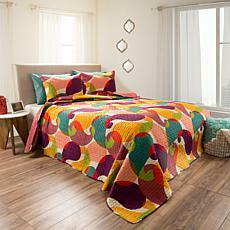 Enhance any room with this elegant and stylish quilt set. The reversible design features a modern, multi-color side and bold, contemporary side, allowing you to change your decor to match your mood. 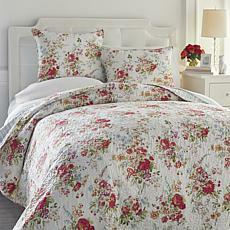 Its soft, microfiber fabrication delivers a luxury feel to help you sleep comfortably and restfully.